Insert your child's photo to personalize this ornament. 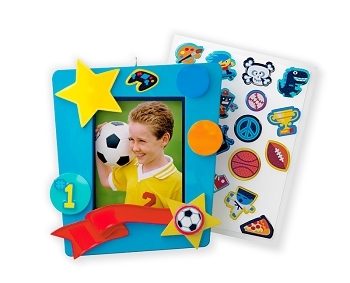 Commemorate your child's favorite activities by using the included adhesive icons to personalize the ornament. Included icons offer a wide variety interests for boys and girls. Add your child's name to the banner.